(Dartmouth, NS – July 31st, 2018) – After a break of over a month, the MJS and Prime Lift East Coast Mini Stock Tour is ready to resume their 2018 season in a big way this Sunday. The stock car touring series will visit Lake Doucette Motor Speedway in Salmon River, Nova Scotia for the Bruce Honda Showdown on the Shore. The 75-lap feature is expected to bring approximately 18 of the best Honda racers from across the Maritimes to compete for the checkered flag at the unique, 1/2-mile egg shaped oval. Racing begins on Sunday, August 5th at 1pm. This is the second straight new venue for the MJS and Prime Lift East Coast Mini Stock Tour after the Series attacked Scotia Speedworld for the Passione Flooring and Interiors 50 on June 23rd. Andrew Warren (White’s Lake, NS) drove his No. 85 Markland Associates CRX to victory lane for his first Tour victory. Reigning Tour champion Tim Webster (Beaver Bank, NS) and 2017 TJ Greenlawn Dirt Clash winner Jesse Deveau (Greenwood, NS) completed the podium in Race Two with Dave Matthews (Kennetcook, NS) and Matthew Warren (White’s Lake, NS) completing the top five. After two events, Matthews leads the standings over 2017 champion Webster by three points and Passione Flooring and Interiors 50 winner Andrew Warren by four points. Matthew Warren and Darren Flemming (Belnan, NS) find themselves well within the hunt as the fourth and fifth place drivers in points, respectively, with two races complete. With their finishes at Scotia Speedworld, Andrew Warren, Webster, Deveau and Matthews have qualified for the United Rentals Dash for Cash. A race within the Bruce Honda Showdown on the Shore, the driver who has the highest finish amongst the quartet will receive a $100 bonus from United Rentals. 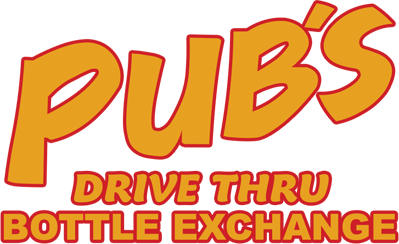 The August 25th 50-lap feature at Petty International Raceway and the Pub’s Drive Thru Bottle Exchange 50 at Speedway 660 on Saturday, September 1st will also serve as United Rentals Dash for Cash races. The last time an organized Honda Civic race was held at Lake Doucette Motor Speedway was nearly a decade ago when the track invited the Scotia Speedworld Thunder teams to compete in a late season showcase. Less than a handful of drivers, including “The Ironman” Drew MacEachern (Dartmouth, NS), Matthews, Matthew Warren and Joey Lawson (Porter’s Lake, NS), competed in that race that will be in the field Sunday. Flemming and Deveau competed in the track’s Fun Day in September 2017. The number of drivers without competitive laps on the half mile layout in a Honda outnumbers those that have been in a race there. A number of drivers will see the track for the first time this weekend in Honda racing competition. Speedway 660 Sharp Shooter and Scotia Speedworld Thunder feature winner Neil Miousse (Kentville, NS), Oyster Bed Speedway Mini Outlaw feature winner Cody Byrne (Orwell Cove, PE), multi-time track champion JR Lawson (Shubenacadie, NS), Petty International Raceway Mini Stock point leader Chantel Ackles (Shubenacadie, NS) and multi-time Scotia Speedworld Thunder feature winners David “Hibby” Hibbs (Middle Sackville, NS) and Nic Baker (Middle Sackville, NS) just scratch the surface of talent that will be on display Sunday. Greg McKay (Eastern Passage, NS), Tyler Larkin (Montague, PE), Jerome Tracey (Port Hawkesbury, NS) and Taylor McLean (New Glasgow, NS) are also among the expected entries to compete for the Bruce Honda Showdown on the Shore on Sunday afternoon. Special thanks to contingency sponsors Giles Auto World and EIT Race Radios, who will present the Pole Challenge and Hard Charger Awards, respectively, during the Bruce Honda Showdown on the Shore on Sunday. Fans that are in the Yarmouth area early for the big race can stop by Bruce Honda on 166 Starrs Road on Saturday from 11am to 2pm for a BBQ with the cars and stars of the MJS and Prime Lift East Coast Mini Stock Tour. There will be an early arrival practice for competitors in the Bruce Honda Showdown on the Shore from 3pm to dusk at Lake Doucette Motor Speedway. Grandstand admission prices for Sunday’s Bruce Honda Showdown on the Shore are $10 for adults and $5 for youth aged 10 to 15, while children nine years of age and under will be admitted free. Pit admission is $20 and is restricted to those 16 years of age and older. Tickets are available at the gate on race day, cash only. Pit gates open for competitors at 9am, grandstand gates for spectators open at 11am with racing getting underway at 1pm. The event also includes Lake Doucette Motor Speedway house division classes with racing in Four Cylinder Women, Four Cylinder Men, V8 Stock and Sportsman. A complete race day format will be available via EastCoastMiniStockTour.com later in the week.